Offers arrowhead-shaped leaves marbled in hues of emerald to spring green, sometimes with a silvery sheen. Each leaf bears creamy white margins, appearing ice-like in the sun. This popular foliage will readily grow in shaded areas where grass doesn't thrive. 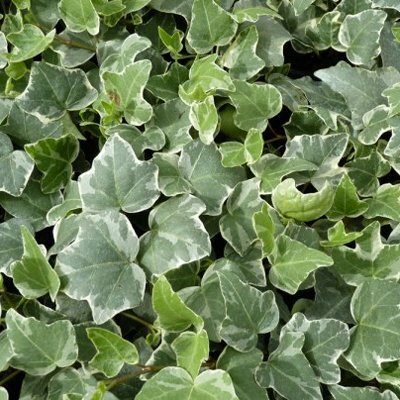 All our 'Glacier' Hedera Plants are grown and shipped in fine quality growing medium. They are guaranteed to arrive alive and ready to plant. Comment: These plants arrived moist and in the best plant packaging I have ever received. They are doing well and I wish I had bought more.